Israeli strike on Gaza city (Monday, March 25, 2019). 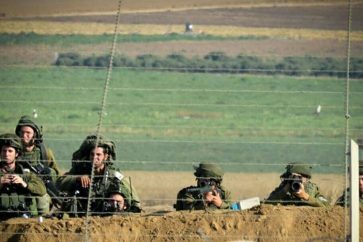 Despite reports of ceasefire in Gaza, Israeli aggression on the blockaded enclave went ahead, with Palestinian resistance responding by firing dozens of rockets. 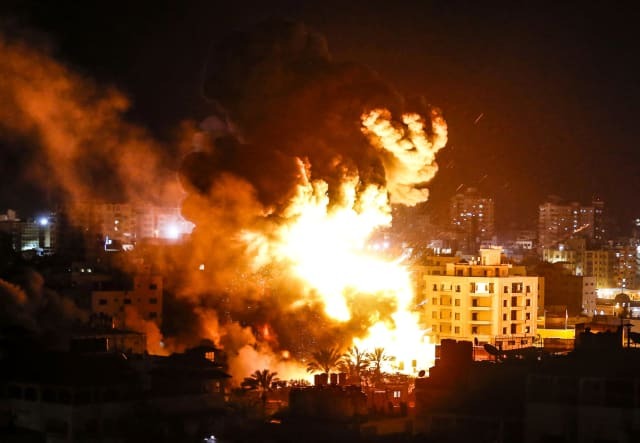 Air strikes and shelling continued overnight, and early on Tuesday, targeting several targets across Gaza, with occupation military saying the office of Hamas’s political leader, Ismail Haniyeh, and the group’s military intelligence headquarters were among the targets. 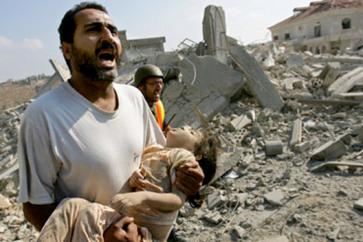 Gaza’s health ministry said seven Palestinian people were injured in the strikes. Palestinian resistance responded to the Israeli aggression by firing dozens of rockets onto occupied territories, with air raid sirens sounding in Sderot, Eshkol and Sha’ar HaNegev in the Zionist entity’s south. Israeli media said 30 rockets were fired on Monday night. Meanwhile, Palestinian Shehab news agency reported on Tuesday morning that resistance has launched at least 70 rockets onto occupied territories. Israeli schools in settlements bordering Gaza were closed on Tuesday, Israeli media reported, adding that bomb shelters were opened in the Zionist entity’s south. Hamas officials said late Monday that a ceasefire had been reached with the help of Egyptian mediators but Israeli officials did not comment on the issue. In earlier confrontations, occupation authorities used to keep silent on reports of ceasefire.